Shake with ice. Strain into a coupe and garnish with a dash of pink Himalayan salt. I don’t think I’ve ever made a mezcal-based drink before. I’ve certainly used it in drinks, but mostly to pair with tequila as a secondary flavor. Here, it is the main event, which is interesting since I had originally thought I’d have to go with something a little more delicate to not overpower the violet flavor. As it turned out, mezcal worked out great. 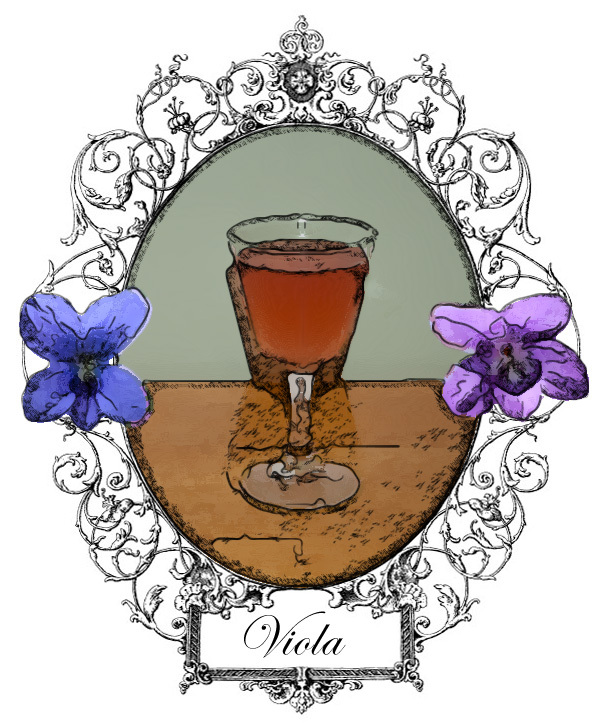 The floral sweetness comes from two different types of violet-based liqueur (can you believe I have two others as well? ), one much more — for lack of a better word — soapy than the other. One is fairly fragrant, the other a little sweeter. Together, they balanced the mezcal’s funkiness, with a just a bit of acidic lime to add a tart note. The final touch is a pinch of pink salt that floats on top, deepening the flavor on the sip. I love salt in drinks (well, let’s face it, I just love salt) and I always seem to have to remember that fact. Maybe it’s all the drinking.